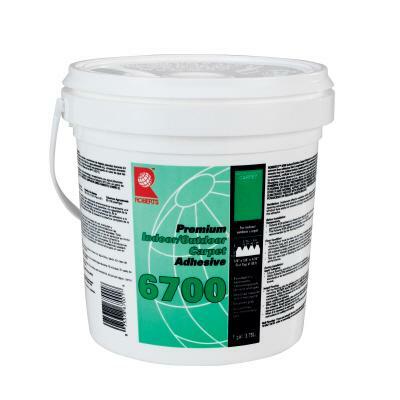 Excellent for applications where you do not want the adhesive to soak all the way through. Seaming tape is a heavy 5.0 oz point bonded polypropylene fabric with a polyethylene coating on one side that you use to hold adhesive on to and bond two pieces of carpet together from the bottom. Adhesive is not part of the seam tape and needs to be purchased separately. The ploy backing/coating keeps the adhesive from bleeding through the backside of the tape and adhering to the "sub-flooring/base material" allowing for easy future removal of the turf. 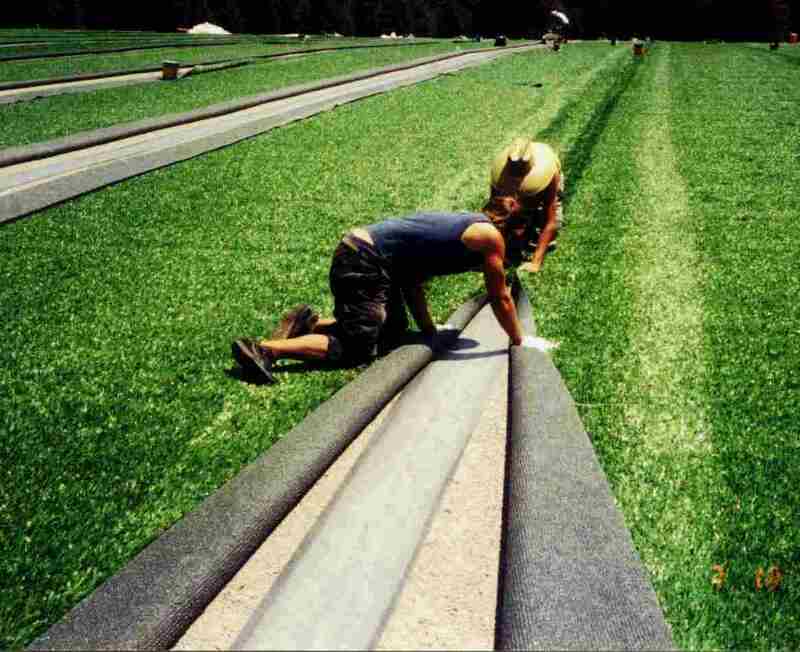 Excellent for use over concrete, shock pad, drainage mat system, or crushed agregate. Standard dimensions for full rolls of tape are 12" wide by 330' long. Sold in full rolls or custom cut-by-the-foot for smaller jobs. Much easier to used than flimsey landscape-fabric grade tape sold by others on-line. Our seam tape will absorb the adhesive through the entire surface creating a very strong bond but not leak through the backing. Perfect for Professional "Glue-Box" applications in full rolls. Covers the 110' width of a football field seam three times before changing rolls. 12" width allows for a larger surface area under your seam so there is no "bump" right at the seam. Try it once, and you will never want to use any other seam tape again! NOTE: The seam tape is NOT pre-glued and does not have a sticky backing. You have to use some sort of adhesive (see related products below) for the proper use of this product. Please place the poly coated side down (away from the turf) for proper adhesion of adhesive into the fabric side of the seam/biner tape. 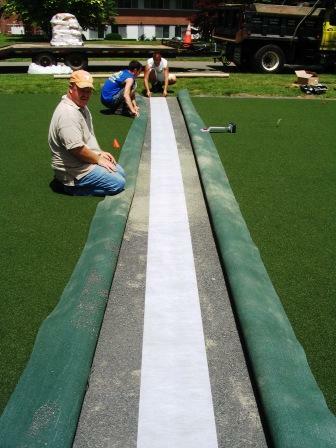 The nice 12" width provides a large surface area for adhesion between the seam tape/binder fabric and the synthetic turf. 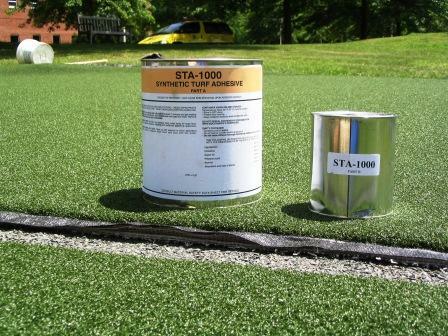 Perfect for large sports fields & home turf applications. Important Instruction Notice: Apply the adhesive only to the rough side of the seaming material. Do not apply it to the smooth side! That is the side that should be facing down to the installed base material. Apply adhesive to the rough side of the seaming tape to get the proper adhesion. Applying it to the smooth side is improper use of the product and will result in seam failures.